Hi, I'm Sabrina Iovino, nice to meet you! I'm the writer behind JustOneWayTicket.com, an award-winning travel blog that started in December 2012 and gained a worldwide audience within a few months. 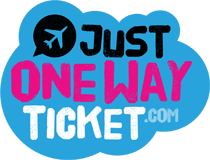 JustOneWayTicket.com is all about traveling as a lifestyle. 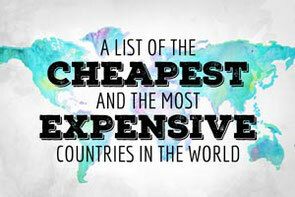 About extraordinary places and adventurous activities on a normal person's budget. I love to encourage people to travel more by giving them valuable tips and inspiration. 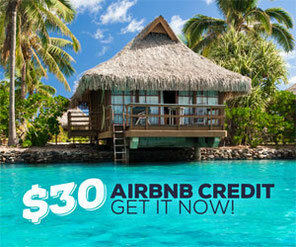 I'm available for collaboration and advertising in the travel industry. I'm always interested to explore new places and experience adventures to share them with my readers. I look forward to publish exciting stories from the road, reviews of the places I stayed and the share stunning images from the destinations itself. You can download my media kit 2018 here. 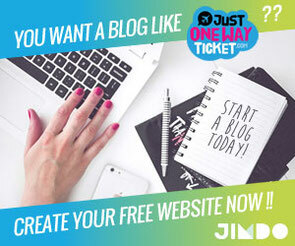 WHY WORK WITH JUST ONE WAY TICKET? I'm a trusted resource for travel tips and destination guides, it's my passion to help and inspire my readers, I give them free travel advice, presenting the best locations, attractions and accommodations around the globe. 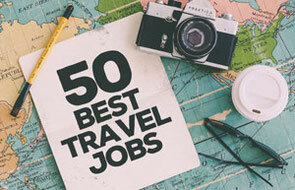 If you're looking to target independent travelers, you should work with me! My travel blog JustOneWayTicket.com is viewed in over 190 countries around the globe and reaches on average about 50,000 monthly unique readers and about 75,000 page views/month. More than 200,000 people follow my travel updates on Social Media. I also offer several kinds of advertising on my page. Please contact me below for rates. Social Media Coverage - Let me promote your product/service on Facebook, Twitter and Pinterest. I have over 190,000 across my Social Media channels. Blog Post / Branded Content - You may submit a post, written by you to promote your product, service or any other travel related topic. 2 links included. Banner Ads - I offer several formats, please contact me for details. ... OR HIRE ME FOR A JOB! Alternatively, let me work for you! I developed many skills in the last years and I'm happy to offer my help. The following list gives an overview about the services I can offer. Let me work for you!! You just opened a new hotel or restaurant or you need some promotion in general? Invite me to your place, I will take beautiful photos (+ additional videos) and write a detailed review about it on my blog. My blog receives about 80,000 unique visitors per month. Over 190,000 people are following me on Social Media. You want your products seen by a large audience? Hire me to promote your stuff! Facebook, Twitter, Pinterest, Instagram, Youtube and Google+. I'm someone with a big passion for photography and a even bigger knowledge of Photoshop. The majority of the images on this blog are taken by myself. If you like my stuff (more on my Instagram) I would love to work for you and present your business in the best light. If you're interested in professional videos, we can offer anything from cinematic shots to drone videos, include all the editing, final cuts and music composition. If you're interested in some of our drone videos from the Philippines, we sell our video footage here. For all advertising and PR inquiries please contact me below, I'll get back to you asap. Thank you.